*This is just an initial list, it will continue to grow. Rosenzweig, Roy. Eight Hours for What We Will: Workers and Leisure in an Industrial City, 1870-1921. Wallace, Mike and Edwin Burrows. Gotham: A History of New York City to 1898. Caro, Robert. The Power Broker; Robert Moses and the Fall of New York. Freeman, Joshua. Working Class New York. Freeman, Lance. There Goes the ‘Hood; Views of Gentrification from the Ground Up. Jackson, Kenneth T. Crabgrass Fontier: The Suburbanization of the United States. Cromley, Elizabeth. Alone Together: A History of New York’s Early Apartments. 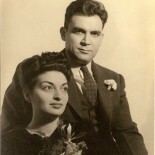 Blackmar, Elizabeth. Manhattan for Rent. Jacobs, Jane. 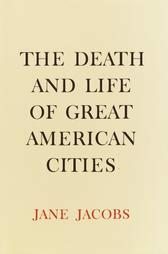 The Death and Life of American Cities. Wiebe, Robert. The Search for Order: 1877-1920. Kessler-Harris, Alice. Out To Work. Stone, Pamela. Opting Out; The Real Reason Women Quit Careers and Head Home.